to pack any dancefloor!!! 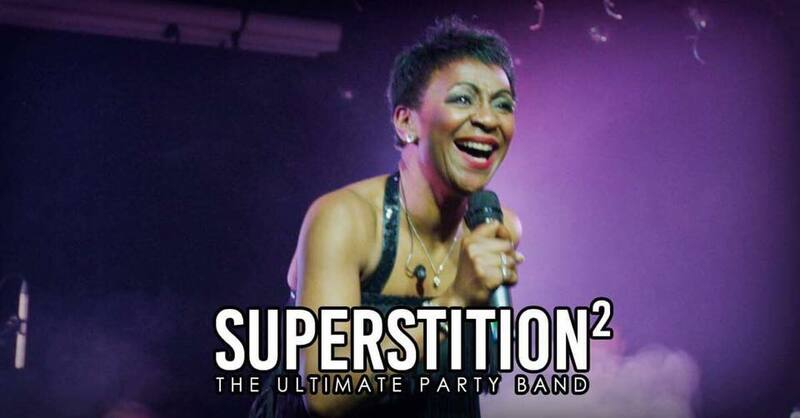 we started Superstition the aim right from the outset was to be the ultimate wedding, party and corporate function band. Each band member is a professional performer hand picked to provide the ultimate live band experience. Fronted by Ruby Washington who is arguably one of the UK’s finest female singers and has performed in venues all over the world, effortlessly delivering an eclectic range of styles, from the big ballads of Bassey and Houston, to effervescent dance-pop. Drummer Simon Woods-Tucker is also an accomplished keyboard player and professional sound engineer. Simon has played drums and keyboards professionally for over 20 years with artists such as Jimmy Tarbuck & Kenny Lynch and for various different function bands and soul bands. Simon is also the sound engineer and production manager for 70’s band Dr Hook, fronted by Dennis Locorriere currently embarked on the “Timeless World Tour”. Bassist Stuart Clayton is a leading bass guitar educator and has recorded and toured with legendary progressive rock drummer Carl Palmer of Emerson Lake & Palmer.